More than 1 in 10 Americans take antidepressants, but these medications can take weeks—and for some patients, months—before they begin to alleviate symptoms. Now, scientists from the University of Chicago have discovered that selectively blocking a serotonin receptor subtype induces fast-acting antidepressant effects in mice, indicating a potential new class of therapeutics for depression. The work was published Oct. 29 in Molecular Psychiatry. This is the first new biological mechanism that has shown the ability to rapidly alleviate symptoms of depression since ketamine and scopolamine, and it potentially represents a much safer alternative. March 23, 2019 - Ketamine: can it really be an antidepressant? The GuardianA version of the club drug licensed in the US could usher in a wave of fast-acting treatments, but experts are worried. David Cox. Sat 23 Mar 2019 12.00 EDT. April 11, 2019 - How the Brain Changes on Ketamine: A Live Animal Study The ScientistThe drug promotes and sustains brain cell connectivity in mice, reversing the effects of chronic stress. March 22, 2019 - From Popular Anesthetic to Antidepressant, Ketamine Isn't the Drug You Think It Is - The Crux Discover MagazineKnown to most as a party drug, ketamine has actually been used clinically for years — and may have a future as a depression treatment. March 5, 2019 - Fast-Acting Depression Drug, Newly Approved, Could Help Millions The New York TimesA nasal spray version of the drug ketamine has shown promise as an antidepressant, even if its properties still aren't well understood. September 11, 2018 - Ketamine Works as a Fast-Acting Antidepressant, But the Full Effects Are Still Unknown SmithsonianA new study suggests that ketamine activates the brain's opioid receptors, complicating its use to treat clinical depression. March 29, 2019 - Ketamine could have big impact on NZ's struggle with depression Stuff.co.nzA version of the club drug ketamine has been licensed in the United States which could pave the way for new, rapid treatment of depression in New Zealand. March 7, 2019 - FDA Approves New Fast-Acting Ketamine-Derived Antidepressant Spray IFLScienceEsketamine is a derivative of the drug ketamine, and could provide fast-acting relief from depression. February 12, 2019 - First Big Depression Advance Since Prozac Nears FDA Approval BloombergThe U.S. Food and Drug Administration is on the brink of approving a breakthrough drug that could upend the way severe depression is treated. July 3, 2018 - Companies developing fast-acting antidepressants grapple with trial design STATThey're all hoping to break the difficult cycle of having to wait weeks for an antidepressant to kick in, only to find out it doesn't work. August 1, 2017 - Faster-acting antidepressants may soon be a reality Medical News TodaySerotonin reuptake inhibitors are used to treat depression, but their exact mechanism is unknown. New research lifts the lid and may lead to improvements. March 6, 2019 - FDA Approves Medication Related To Party-Drug 'Special K' In First Major Depression Treatment To Hit Market In Decades Kaiser Health NewsThe Food and Drug Administration approved Spravato as a fast-acting treatment for patients who have failed to find relief with at least two antidepressants. January 19, 2016 - Scientists seek fast-acting treatment for depression STATResearch into fast-acting treatments for depression is surging, including everything from laughing gas to magnetic stimulation to the street drug ketamine. February 20, 2019 - Psychiatrists await esketamine with anticipation — and hesitation STATThe FDA is expected to decide soon whether to approve esketamine, which would become the first major depression treatment to hit the market in decades. January 14, 2019 - New Type of Antidepressant Could Be Game Changer TheFix.comThe new medication will reportedly deliver fast-acting relief for patients, who often need to wait four to six weeks to feel the effects of current anti-depressants. December 20, 2018 - The most promising new treatments for depression to watch in 2019 Business InsiderResearchers are on the hunt for better drugs to treat depression, a leading cause of disability worldwide. Promising options include ketamine and psilocybin. June 15, 2018 - New Generation Of Antidepressants On FDA Fast Track TheFix.comThe medications, which are still in development, may be able to help those who have not found success with currently available antidepressants. June 28, 2018 - FDA: Antidepressant trials can include people who've had suicidal thoughts STATDrug makers often rule out potential research participants with a recent history of suicidal thoughts or behavior, citing safety concerns or other issues. July 19, 2018 - FDA releases guidelines to fast-track new generation of fast-acting antidepressants Genetic Literacy ProjectAs companies race to develop fast-acting antidepressants, they are grappling with how to design clinical trials for a type of drug that doesn't yet exist. September 28, 2018 - Can genetic tests gauge how well antidepressants will work? STATWith the introduction of more products aimed at gauging the effectiveness of mental health treatments, science is getting left behind, some experts say. September 3, 2018 - CBD shows sustained effects against depression - DTR Drug Target ReviewCBD shows sustained effects against depression - A single dose of cannabidiol in rats with symptoms of depression was highly effective. June 21, 2018 - Ketamine acts fast to treat depression and its effects last -- but how? Science DailyResearchers describe the molecular mechanisms behind ketamine's ability to squash depression and keep it at bay. October 5, 2016 - Study Finds Alcohol Creates Effects of Fast-Acting Antidepressant AJMC.com Managed Markets NetworkThe study finds a molecular pathway to explain patterns long observed by those who work with patients being treated for both alcohol abuse and depression. September 17, 2018 - Change Ahead In Antidepressant Drugs Market Fitch SolutionsKey View. High commercial potential remains for antidepressant drugs with novel mechanisms of action, rapid onset of effect and positive safety profiles. January 3, 2019 - Featured Articles 5 Things to Know About Ketamine for Depression MedShadowThe anesthetic ketamine is increasingly being used off-label for depression. The drug seems to work rapidly, but its long-term side effects are unknown. November 6, 2018 - A Quick Hit for Depression Psychology TodayKetamine offers immediate relief, especially in managing suicidal thoughts. But how do we deploy a drug whose mechanism of action remains a mystery? September 24, 2018 - Ketamine clinics promise depression treatment, but some stray from the evidence STATScreening practices and the extent of collaboration with mental health providers vary widely from one ketamine clinic to the next. September 11, 2018 - Postpartum drug could be 'game changer' for women Futurity: Research NewsA new drug specifically for postpartum depression could one day give women relief in a matter of days, not the weeks current remedies offer. July 18, 2018 - Psychedelic discovery could lead to new antidepressants Futurity: Research NewsNew research confirms that psychedelics can alter neuron structure. Does that mean they could treat anxiety and depression? May 1, 2014 - A new fast-acting antidepressant (that's not ketamine) shows promise Los Angeles TimesExisting antidepressants, if they work at all, can take weeks to work, and for the deeply depressed, that can mean the difference between life and death. 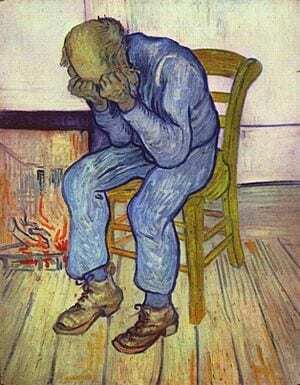 June 25, 2018 - How does ketamine relieve depression so quickly? Medical News TodayKetamine has been shown to relieve symptoms of depression quickly. A new study delves into the molecular details and asks how and why. December 14, 2018 - Painting Ketamine in a Bad Light Psychiatry AdvisorA recent Associated Press article suggests that ketamine is not helping those with depression.1 Indeed, the article suggests that ketamine clinics are taki. November 26, 2018 - VistaGen CEO notes broad market potential of ketamine-like AV-101 The Pharma LetterIn the USA alone, more than 10% of adults or adolescents take antidepressants, and fully two-thirds of these people do not respond to first-line treatment, norm. May 8, 2018 - Ketamine Stirs Up Hope—and Controversy—as a Depression Drug WIREDThe next big depression treatment might be ketamine, but how best to use it remains unknown. September 6, 2018 - J&J files esketamine nasal spray antidepressant in US pharmaphorumA nasal spray antidepressant based on esketamine is under review in the US following a filing from Johnson & Johnson's pharma unit. March 20, 2019 - FDA approves first postpartum depression drug — it could help hundreds of thousands of new mothers MarketWatchA new treatment for postpartum depression, called brexanolone, was approved by the Food and Drug Administration on Tuesday. July 27, 2017 - New Hope for Depression TIMEKetamine is best known as a psychedelic club drug that makes people hallucinate, but it may also have the ability to ease depression — fast. April 5, 2017 - Better than Prozac? University of CaliforniaA mouse study identifies a new method for treating depression.